The hardest job I have ever done is learning how to be a civilian. Ashley Sims is on his way to earn his fourth academic degree in the media field. This is a huge accomplishment for any aspiring broadcaster however Sims is not your average student. Sims is a middle-aged Veteran who, up until about four years ago, was homeless. "I fell through a crack," Sims said. When Sims retired from a 23-year career in the Army in 2009, he was not yet receiving any Veterans Administration benefits or disability. Without a job or any income, Sims found himself sleeping in the woods just outside of Greeley, CO with his cat. "The hardest job I have ever done is learning how to be a civilian," Sims said. Sims said after leaving the military, he struggled with Post Traumatic Stress Disorder (PTSD) and did not like being around large crowds. He found an escape from people living in the woods. "It was easier for me to be away from people," Sims said. Though it was an escape, it was cold and Sims knew he needed to find a home. 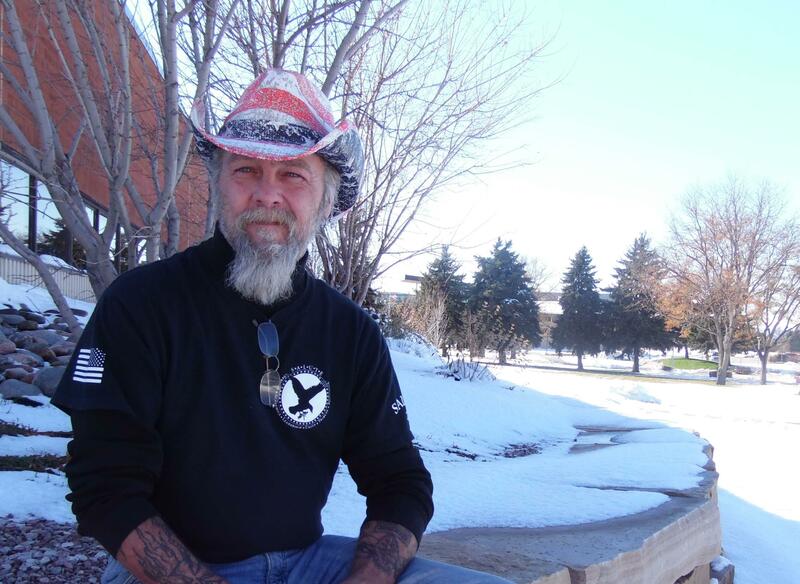 The United States Department of Veterans Affairs referred Sims to Volunteers of America's program for homeless Veterans which, at the time, was just getting underway in Fort Collins. Sims met with Volunteers of America case manager Betsy Sullivan who helped him find resources and begin searching for affordable housing. After a lot of persistence, Sims moved into an apartment just before Christmas in 2012 and was the first Veteran Volunteers of America housed in Northern Colorado through the Support Services for Veteran Families program. Since Sims was housed, Volunteers of America's has helped over 200 homeless Veterans in Northern Colorado find housing and over 900 just last year in Denver. The program assists Veterans with the initial hurdles of securing housing like identifying affordable units, paying the security deposit, and covering first few months' rent. Volunteers of America also provides Veterans with a case manager who helps them identify other resources like employment, healthcare, and benefits. Settling into his new apartment presented a whole new set of challenges for Sims. The space was too large and overwhelmed him he said. He ended up partitioning off the living room to make the space smaller and create a second bedroom, which helped Sims cope with his PTSD he said. After adding some walls and painting in his apartment, Sims says he and his cat became comfortable in their new home. Sims has come a long way. He has since moved to a four bedroom home on a piece of land where he can train and rescue horses, one of his many passions. He lives up to his nickname "Saint" by tutoring and counseling dozens of Veterans on his campus as well as leading the Salute Veterans Honor Society. He is finishing up his undergraduate degrees in media and will be going to Oklahoma State University to pursue a Master's Degree in Journalism Broadcasting. Sims said he hopes to one day host a Veterans radio talk show to help other Veterans find the assistance and resources that were so valuable to him. "They say you don't get time back but I don't believe that. You can make up lost time," Sims said.